Atlas Tapered Services provides design assists, quotes and shop drawings. Our Tapered Services department consists of 4 tapered specialists who are dedicated to providing accurate quotes. 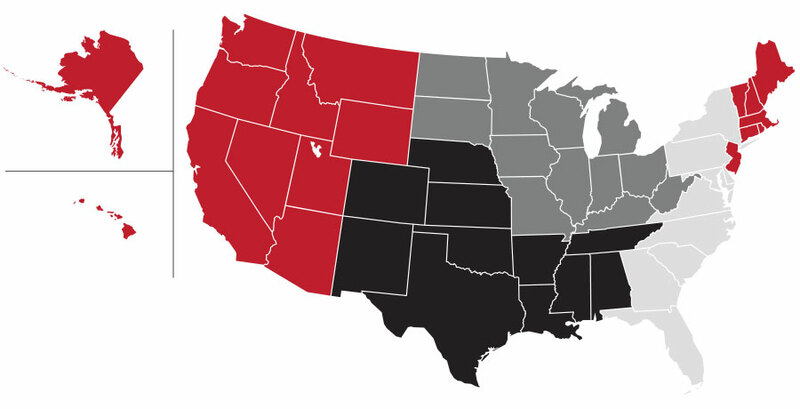 Each Tapered Specialist is assigned a region of the United States. To contact your Tapered Specialist, please click here. You can submit your request online, or contact your Tapered Specialist. After we receive all necessary information, we can proceed with your quote. Once the quote is complete, we will forward to you for review. After the project has been awarded, Atlas will need a purchase order to initiate shop drawings. If you approve the shop drawings, please sign in the title block and return to your tapered specialist. We will then forward your material order to the appropriate manufacturing facility. Should you need revisions, please mark up and send back to Atlas for us to amend. We will resubmit for your approval. Please be aware that shop drawing amendments may result in price revisions to your original quote. Distributors and Private Label partners. There is no fee, all we ask is that if the job is awarded using our quote, you purchase through Atlas. How soon can you produce quotes and shop drawings? Quotes and shop drawings can be produced in 24–48 hours, often they can be produced same day. What information do you need to start a quote? You may contact any of the tapered specialists and they can make the changes for you. Do you have a minimum or maximum job size? No minimum of maximum job size required. Do you provide design assistance? Yes, we can help with the tapered layout while still in the design stage. You can even incorporate our CAD files directly into your plan sets. Who can request a design assist? This service is typically for architects and specifiers. Quotes can only be sent directly to Distributors and Private Label partners that are already set up to buy Atlas insulation.